Medium amber in color, with gentle spiciness and sweet oak aromas. Mid-palate is smooth, with tones of maple, oak, and nutmeg. In 1987, Thomas E. Bulleit, Jr., fulfilled a lifelong dream of reviving an old family bourbon recipe by starting the Bulleit Distilling Company. Inspired by his great-great-grandfather Augustus Bulleit, who made a high-rye whiskey between 1830-1860, Tom left a successful law practice and risked everything to experience life on the frontier. 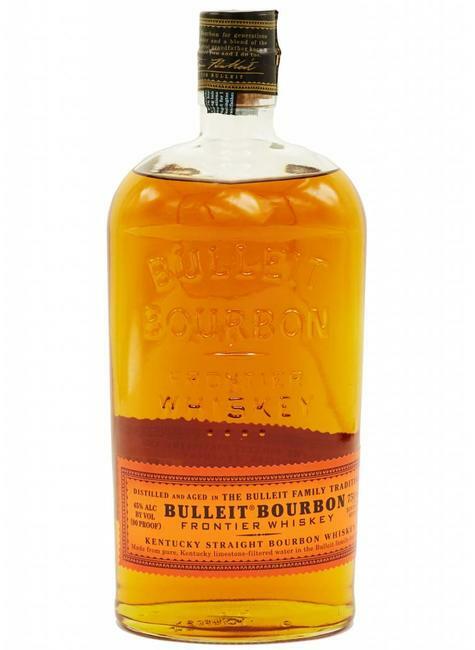 To this day, Bulleit Bourbon is distilled and aged in the Bulleit family tradition.